Wagner-Martin Development LLC is proud to present the Mighty Duke Power Pull. This innovative collision repair system is perfect for all size auto body repair and paint shops! easily rolls away and takes up little space when not in use. 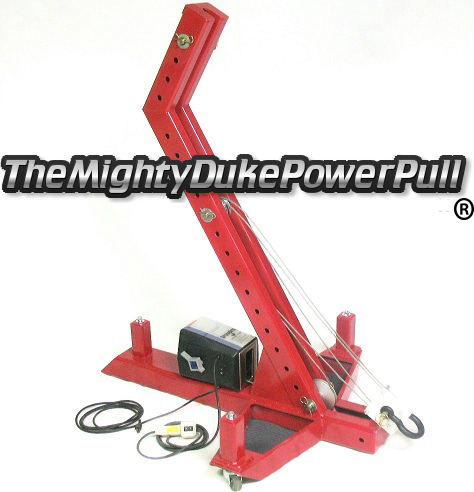 If you own or operate a small to medium size auto body shop you really should consider The Mighty Duke Power Pull. See The Mighty Duke In Action!!! Click here to see our products on eBay!